Columbia County sheriff's deputies will be cracking down on distracted driving and seatbelt enforcement next year, thanks to two federal grants. The county is set to receive nearly $30,000 in funding from the Oregon State Sheriffs' Association to help with saturation patrols. Grant agreement documents indicate the county will receive a grant for $22,000 to reimburse the Columbia County Sheriff's Office for enforcement costs of a distracted driving campaign during the National Highway Traffic Safety Administration's National Distracted Driving Awareness month in April. Another grant for $7,500 will help the Sheriff's Office conduct extra patrols for seatbelt enforcement. Grant funds will be administered by the OSSA and could cover costs, such as overtime hours worked by deputies. 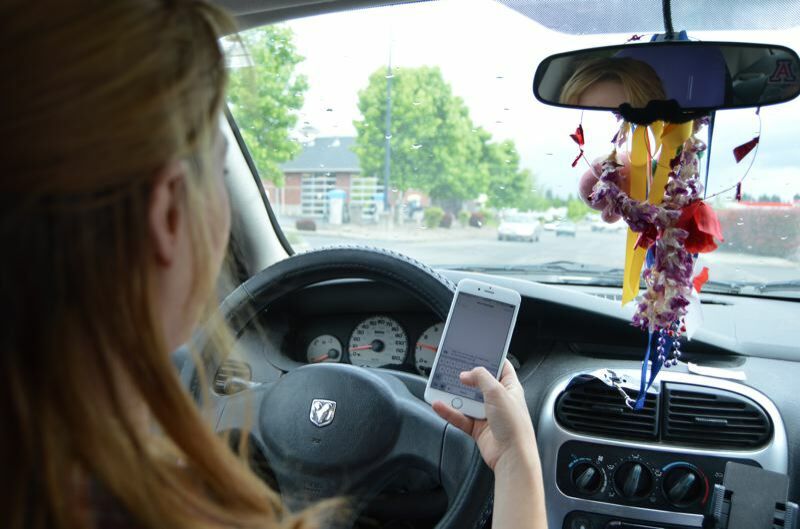 Oregon's distracted driving law, which went into effect in October 2017, makes it illegal for drivers to use any function of an electronic device that requires touching or holding the device. The county must provide a 20 percent match of grant funds to be eligible, according to the grant agreements, and record staffing hours worked during each enforcement campaign. The funding also requires the agency to send out media notifications about the patrols. The enforcement projects will be overseen by Capt. Jon Kinsel. "Essentially both campaigns [are] a grant allocation that is giving CCSO additional money to conduct the saturation patrols," CCSO Lt. Brian Pixley noted via email. Two safety belt enforcement "blitz" patrols are targeted for Feb. 4 to Feb. 17, and Aug. 19 through Sept. 1. Additionally, a "Click it or Ticket" campaign is slated for May 13 to June 2, according to Pixley. "We are hoping to bring awareness to traffic safety during these campaigns," Pixley added.